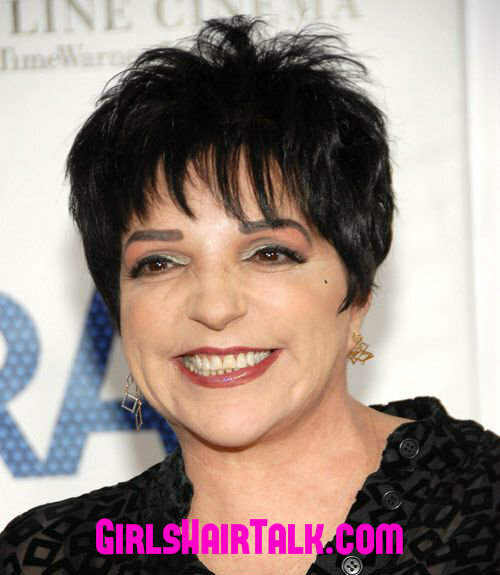 Black Short Hair Styles Pictures For Beautiful Natural Looks! The #1 question I get is: What causes women's hair loss? Answer: The root cause of women's hair loss is due to imbalanced hormones. A pixie cut with wispy fringe and layers throughout. Flat ironed to create straight hair. Hair color is in a honey golden brown tone with darker pieces intertwined within hair to achieve some dimensions in this lovely hairstyle. A short curly hairdo with plenty of volume at the top with tapered sides to create height and texture for a pretty sight. A short fringe wispy hair cut that is flipped out to showcase short layers throughout haircut. 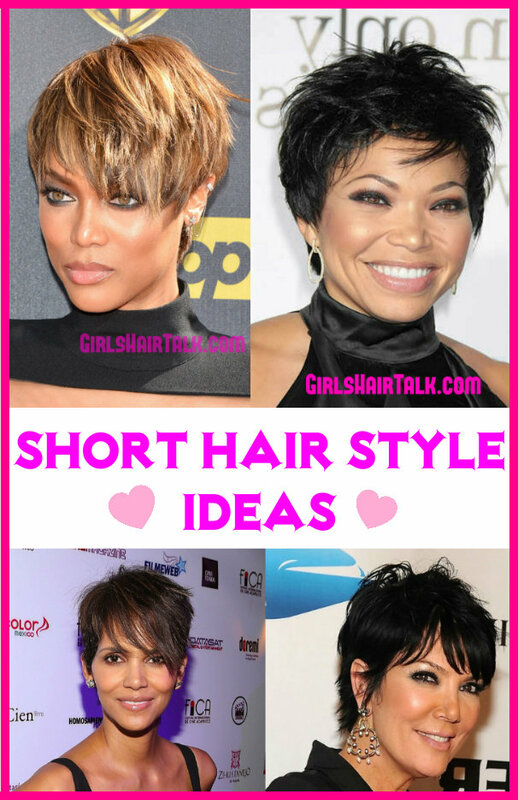 A short pixie cut with wispy bangs, styled into a sleek look and styled into a smooth, shiny and polished look and style. A longer short bowl mushroom haircut that is very adorable with long bangs with just a tough of textured fringe throughout. 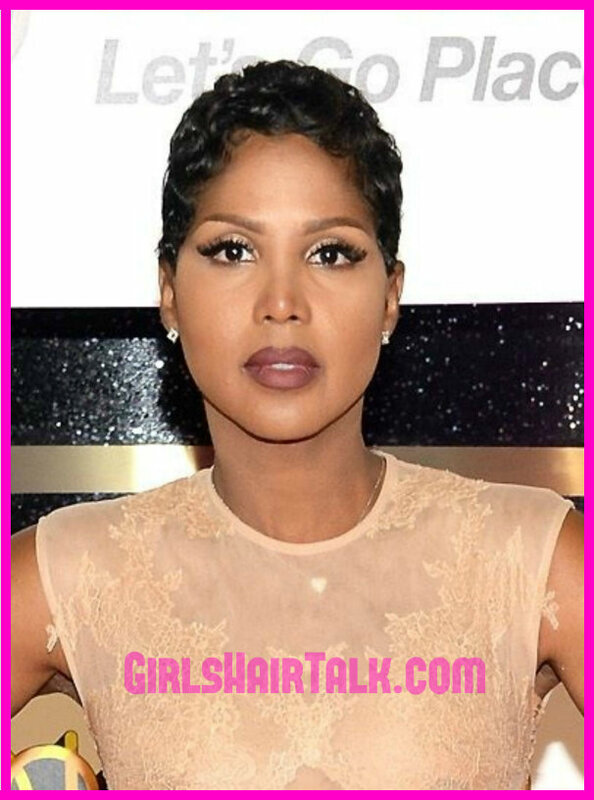 A long textured pixie hair cut that is flat ironed and has many layers and thinning wispy ends of hair. Styled with a lot of volume at the roots to create lift to show case the layers. 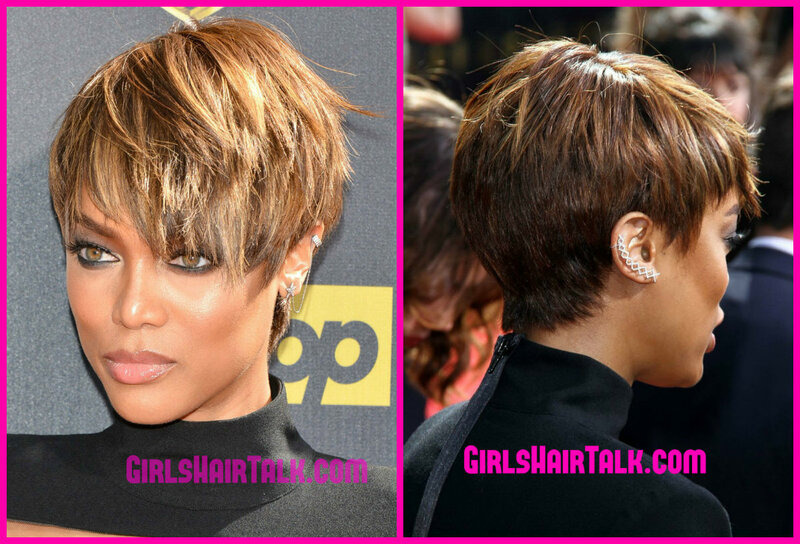 This style and cut is one of my favorites on this page because you can't mess this style up and it is very trendy! A tapered short cut with long bangs styled with a flat iron then into cascade pin curls. Hair color is in medium to light brown honey colored hair. A basic short hair cut with slight fringe around the temples but basically heavy thickness throughout the hair style with little to no texture or thin pieces. A very short pixie hair cut with height at the top styled using rollers for added volume. Sides of hair are sleek and flat just showcasing the top with curls. Thin pieced layers in the bangs showcased using a colored red head band. Some height at the top with thin pieces throughout haircut for a textured look and style. A heavy look with little to no layers blunt bangs with a slight parting on the forehead area. Some height at the top. Sleek pushed back height and volume galore. A very straight style with a ton of volume at the top. A longer style than other short styles on this page. A flat sleeked back look with angled pointed side burns. Short pixie hair cut styled to the side, sleeked down with zero bangs showing as well. A tapered textured long layered pixie hair cut. Hair colored with dark blonde highlights at the top of hairstyle. 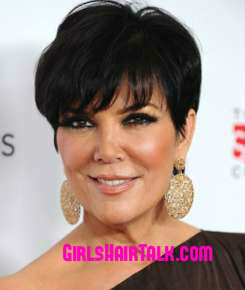 A sleek style using a side parting with pointed sideburns and long grown out bangs on the side. A long textured pixie hair cut with zero blonde highlights straight with layers pointed up towards the sky. A long wispy style and look with some wispy layers throughout. Pieces of fringe layers in the back and sides of haircut very nice and pretty. A short pixie hair cut styled with a lot of volume at the top of this haircut with layers aimed facing up with the sides sleeked down. A medium layered pixie hair cut with many layers and textured wispy pieces throughout. Pixie cut with long bangs framing the face. Styled in a sleek fashion. Bangs are in an angle side part. A really basic cute pixie hair cut with side bangs. Styled with a straightening flat iron for a very sleek look and style. Pointed side burns, sleek styled with a ton of volume. Long hair at the top in a styled pompadour hairstyle. Very short fringe layers throughout, more than usual for kris, her hairstylist must have talked her into it and she looks great plus she looks younger. Again pointed sideburns with a pompadour cut and styled adding a ton of volume at the top showcasing the length at the top of this short tapered haircut. A pixie haircut with long blunt bangs with honey blonde highlights. A blunt short cut with slight fringe at the ends of hair with zero highlights. A sleek straight hairstyle with zero volume at the top. Very unique but she pulls it off. Side parted pixie haircut with side swept wispy bangs flowing to the side. A very feminine hair style and cut. A very short pixie hair cut styled by doing pin curls for sleek flat curls with zero bangs. Short pointed sideburns with a pompadour hairstyle showcasing alot of height and volume at the top. Thinking about getting one of these great styles? Back to the top of this pg.